Welcome Home to your custom-built, tastefully updated, and spacious 4 bedroom, 3 ½ bathroom mini-estate complete with a tastefully landscaped & fully FENCED backyard. Formal spaces greet you with quality finishes throughout. The Roof, Fence, Kitchen Appliances and almost all Windows were installed in 2013. Freshly painted inside and out and New sprinklers w/ irrigation well. New LED lighting, Granite counters and two-toned Cabinetry with butcher-block style Island perfecting your dream kitchen. Watch the kids from your screened-in and tiled patio while they play on the play set (included). Elegant family room boasts a robust wood-burning fireplace with new chimney. The sweeping staircase invites you to retreat to any one of the four living quarters. The master suite is spacious and includes a very large walk-in closet. The master bath has a jetted tub, shower, dual vanity and separate water closet. Tymber Creek has a manned gate at night and there are two community pools for your enjoyment. As soon as you drive in through the gate, the beautiful mature trees and curving roads will be your guide to tranquility. Shed and Playset in Backyard stay with the home. Washer and Dryer and Garage fridge do NOT convey. Ormond Beach is strategically located in North Central Florida, only about an hour from Orlando. it is accessible by the major Florida arteries: I95 and I4. I-95 runs north to Maine & south to Miami. I-4 takes you west where you will travel through Orlando, the Magic Kingdom at Disney World, and on to Tampa. The community is split by the Halifax River, which is the Intracoastal Waterway traveling the East Coast of the United States. The Florida East Coast Railway runs trains through this area on a daily basis. Commercial light-industrial sites continue to be available along the railway system in Ormond Beach. The nearest airline service is only a few minutes away in Daytona Beach at the Daytona Beach International Airport. Ormond's subtropical climate feels more tropical in the summer. With an average high temperature of 88 degrees during the summers, it can get rather warm. But the wonderful seabreeze effect and afternoon showers cool things down and make everyone more comfortable. Actual temperatures in Ormond Beach can be several degrees cooler than in other Central Florida areas. Ormond Beach claims the highest standard of living in Volusia County, Florida. Originally established as a tourist haven for the rich and famous at the turn of the century (John D. Rockefeller had his winter home here), today, we find Ormond Beach as an attractive bedroom community with a clean light-industrial base and an effective education system producing award-winning results with the areas youth. The medical system in this area is second to none. Ormond Beach offers the services of three major medical centers as the base for medical services in our area. In nearby Daytona Beach, two additional centers are located. The area is home to many assisted living facilities and first class rehabilitation services. The medical community is broad-based in the Ormond Beach area, offering services in nearly every specialization, including open heart surgery. Source: Wikipedia, Ormond beach Chamber of Commerce and other venues. 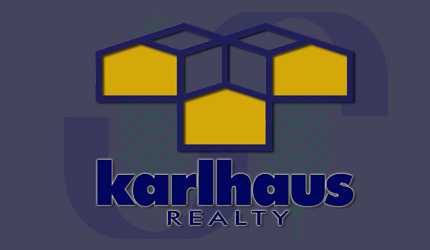 © Copyright KARLHAUS LLC 2006-2015 - All rights reserved. Except as specifically permitted, no portion of this web site may be distributed or reproduced by any means, or in any form, without Karlhaus' prior written permission.